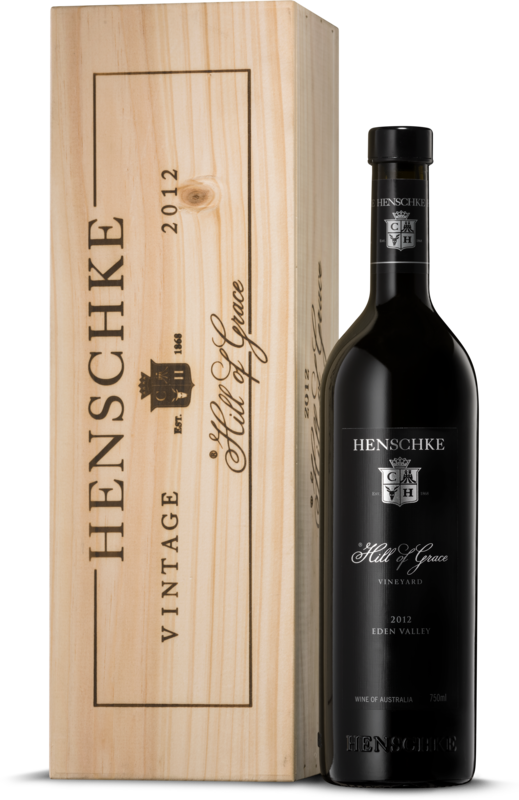 The Eden Valley region was established by Charles Crane in 1866 around the nearby North Para River system and is home to Henschke iconic vineyards – Hill of Grace and Mount Edelstone. During colonisation in 1838, chairman of the South Australian Company, George Fife Angas, commissioned mineralogist Johann Menge to explore the area, and on receiving his promising reports, purchased the seven surveys of the Barossa Range land. This began a trend of bigger land holdings, largely amongst other English settlers, one of whom was Joseph Gilbert. Gilbert established the first vineyard, Pewsey Vale, on his property in Eden Valley in 1847. Henry Evans, son-in-law of George Fife Angas, soon followed in 1853 at Evandale, near a village known today as Keyneton. Unfortunately, Henry’s wife Sarah was not cast from the same mould, for upon his death in 1868 she followed her temperance convictions and had the winemaking grapes either grafted over to currants or removed and replaced with apple trees. While some things have changed over time, much of the land in Eden Valley still remains with the families of these early settlers. The Barossa Range lies in the South Mount Lofty Ranges, a north-south range. Eden Valley lies within the Barossa Range and consists of river valleys and undulating hills covered with large gums, rocky outcrops and Aboriginal sites. It is a high-altitude area of between 400 and 500m, compared with the Barossa Valley's elevation of 200-300m. This higher altitude, with its one to two weeks' later ripening pattern, results in more distinctive varietal flavour characteristics and higher acidities, due to the increased continentality. Altitude is important in determining mesoclimate, or site climate, although aspect and slope are also important in this varied, hilly terrain. Thus, Pewsey Vale at the southern end of the valley, at 500m, is appreciably wetter and cooler than the Henschke vineyards around Keyneton at an elevation of 400m. Overall the growing season temperatures are significantly lower than those of the Barossa Valley, with the final stages of ripening taking place in much cooler conditions. The higher vineyard sites are generally better suited to whites than red varieties. Annual rainfall is about 700mm with 178mm falling between October and March. The frost risk is slight, and the mean January temperature is 19C. Soils are mainly sandy loam over clay-weathered rock subsoils, which cover a schist/silt sandstone bedrock often containing ironstone gravels, quartz gravels and rock fragments. The soil is well suited to dryland viticulture. In the valleys the soil is deep; on the hilltops it is shallow and rocky. Soils are many and varied, ranging from sandy loam to clay loam over clay-weathered rock subsoils, which cover a schist/silt sandstone bedrock often containing ironstone gravels, quartz gravels and rock fragments. The soil is well suited to dryland viticulture. In the valleys the soil is deep, on the hilltops it is shallow and rocky. "One of the greatest Australian shirazes"
"... It is a magnificent, flawless wine, with balance, length, line and purity. It has perfect colour, fragrant dark cherry/berry aromas and flavours, positive tannin and French oak support..."